The French press offers a quick and easy way of brewing coffee. It is as simple as putting ground coffee into a brewing chamber, followed by boiled water, and then leaving it to steep for 4 minutes. A plunger is then pushed downwards to displace coffee sediments to the bottom of the chamber and Voila! The famous French press beverage is ready to drink. As easy as this process may seem, you have to know all the dynamics surrounding French press brewing to get the desired results. Many people have given up entirely on the French press because they cannot get the right taste for their coffee. What do they do wrong? Read on to understand the secrets of French press brewing. The French press uses the immersion method of brewing. In this method, coffee grounds are submerged in hot water for an extended period than in drip brewing methods. This means therefore that beverages produced by immersion method are more likely to taste bitter, due to over-extraction. This is one fact that most people are not aware of. Therefore, the secret to the perfect beverage relies on three factors, coffee grounds, the temperature of water and water-coffee ratio. The type of coffee grind is an important aspect of coffee brewing. This is also the case for the French press, which solely uses coarse coffee grounds. Using fine grinds results to over-extraction, which subsequently produces bitter and ‘muddy’ beverage. Furthermore, the fine grind could clog the filter further resulting in poor quality of the coffee. 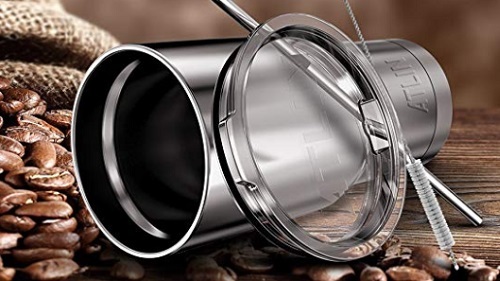 For the right grounds, you will need a grinder, preferably a Burr Grinder. All the coffee aficionados and baristas will inform you of the importance of grinding fresh beans and the effect it has on the overall taste and quality of the beverage. Roasted coffee beans retain all the nutrients and flavors for up to two weeks, while ground beans can only retain them for thirty minutes. Pre-ground coffee should not be an option if you want the perfect coffee drink. They lack all the necessary nutrients that make up the signature French press beverage. Owning a grinder is therefore mandatory. 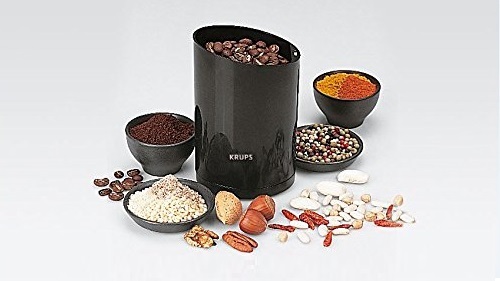 It is also advisable to grind the beans a few minutes before you begin the brewing to retain all the flavors and nutrients. The right temperature of the water is also equally important. Boiling water will scorch the coffee grounds, while tepid water will not extract the nutrients and flavors fully. Getting the right water temperature is very simple: after boiling water, let the steam evaporate away for 30 seconds to a minute, before you start brewing. You can also use the French press to brew a cold beverage. The process is the same as a hot brew. However, the steep time should take at least 12 hours for all the nutrients, flavors and oils to be extracted. Also, there are two mistakes that people make with the French press that derail the quality of the beverage. The first mistake is that they let the coffee steep for a long time. The recommended steep time is three to four minutes for a hot brew. 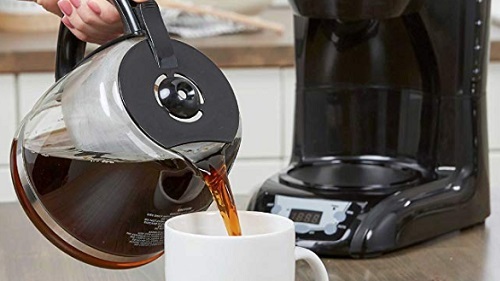 The second mistake is that they leave the brewed coffee in the French press. Many people assume that the brewing will cease once the plunger is pushed to the bottom, but that is not the case. The coffee will continue brewing, which will result in over-extraction and bitter coffee. After brewing, the drink should be poured to a mug right away. If you want to store some, then pour it into a separate carafe. Therefore, having a timer to remind you of the steep time should be a priority. Another important aspect of French press brewing is the coffee and water ratio. You need to have a proper balance between the two to see consistent results. A scale is therefore recommended to give you accurate measurements. Alternatively, you may use the markings on a hand groundhopper, each mark represents 10g. You should also be aware of the type of grounds you are using because coffee beans have different densities. For instance, lightly roasted coffee are heavier than darker roasted beans, since they have a higher moisture content. This is the reason why scale weighing is better than volume measurements.